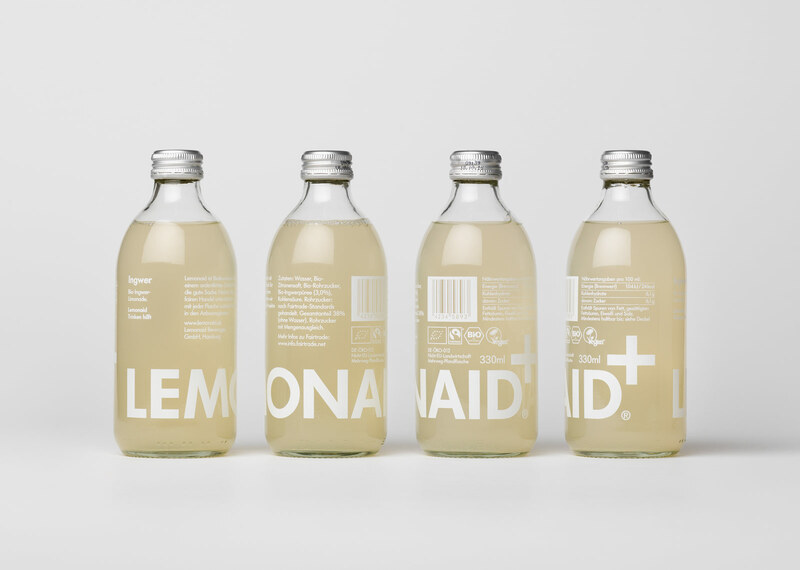 Lemonaid is a charity organization formed in 2008 with an ambition to create beverages that would both taste and look great, and make a difference in the world. Revolutionizing the charity industry with top quality products, bold packaging design and guerrilla marketing tactics. The glass bottle was originally selected for its friendly shape, fitting nicely in the hand as well as standing out against the sea of plastic bottles. 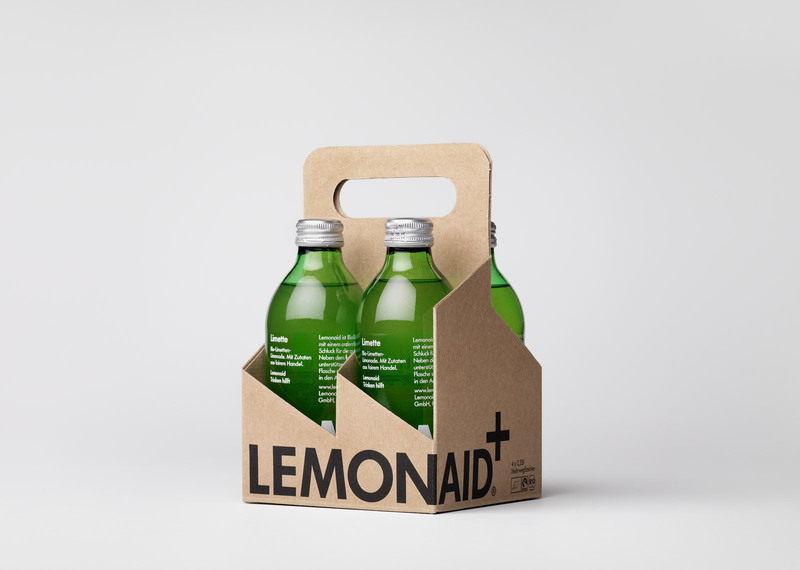 The most recent addition to the Lemonaid product range. Ginger was released in 2018. 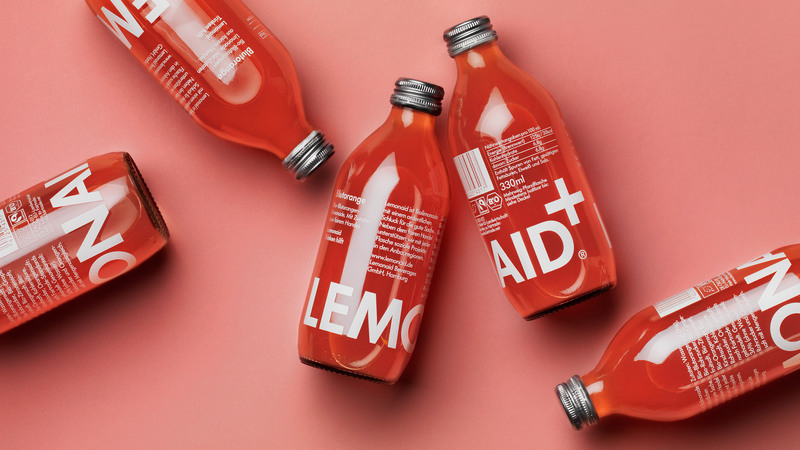 Lemonaid is a charity organization formed in 2008 with an ambition to create beverages that would both taste and look great, and make a difference in the world. The idea was to produce products that compete on their own merits – not only by appealing to people’s consciences. Lemonaid Lime was the first of three products developed; a traditional lemonade made with 100% fair trade and organic ingredients. Aside from being of high quality and tasting great, the product also needed to have a unique and appealing design that would stand out on the shelf. For this, they turned to Sweden. 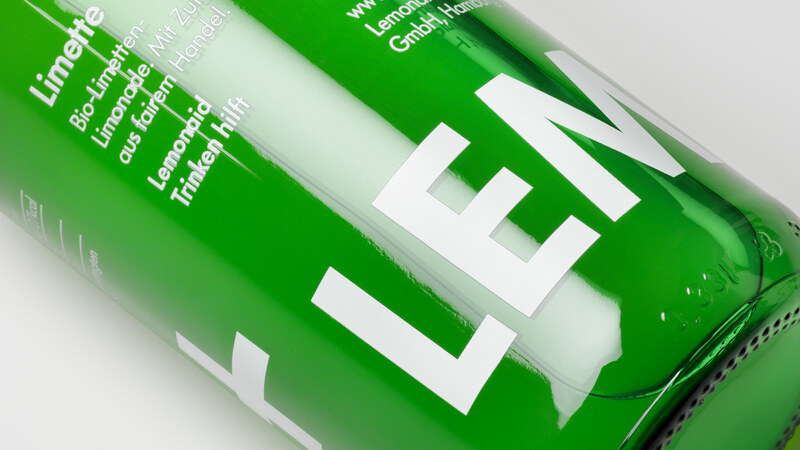 The green glass bottle was originally selected for its friendly shape, fitting nicely in the hand as well as standing out against the sea of plastic bottles. 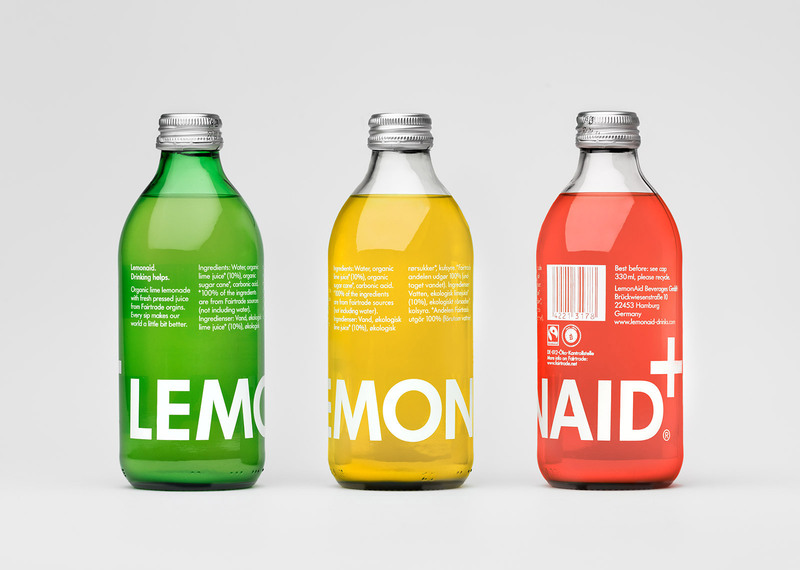 The packaging was designed without a specific front side to the bottle, instead the graphics wrap around the bottle 360°, achieving a bold impact when placed together on the shop shelf. 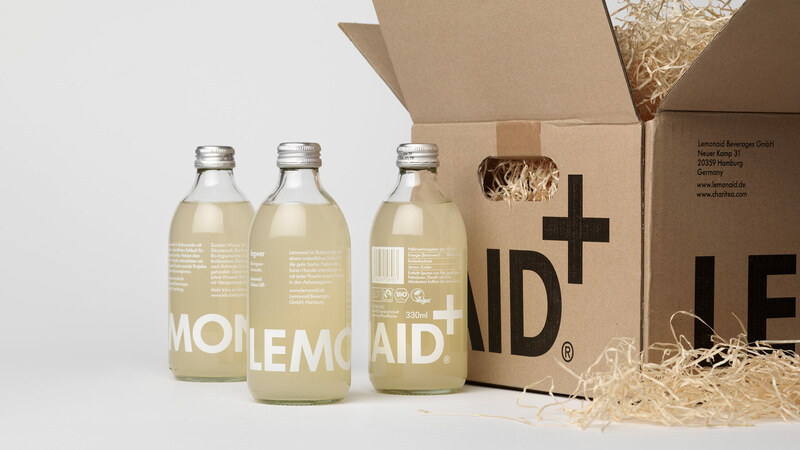 The logotype designed for Lemonaid includes a cross sign; the universal symbol for aid and rescue. The aluminium caps and the direct printing on the glass emphasize the authenticity and craft of the product. New flavours were soon introduced, like Maracuja and Blood Orange; for these, transparent bottles were used and the bright colours of the liquids, yellow and red, complemented the green of the original flavour. The combination of a high-quality product, the authenticity and honesty of the company, and the iconic design (really, the recipe for success for any brand! 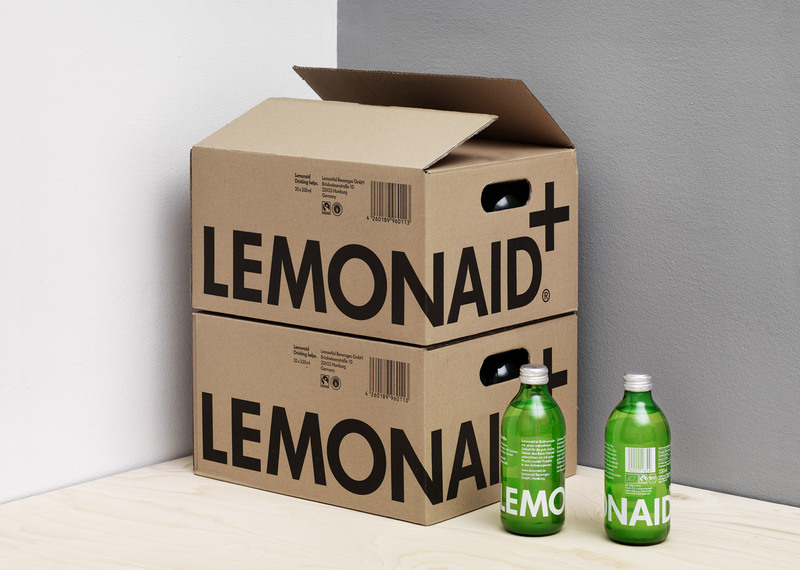 ), soon made Lemonaid into a cult brand, and within months sales took off throughout major cities in Germany. 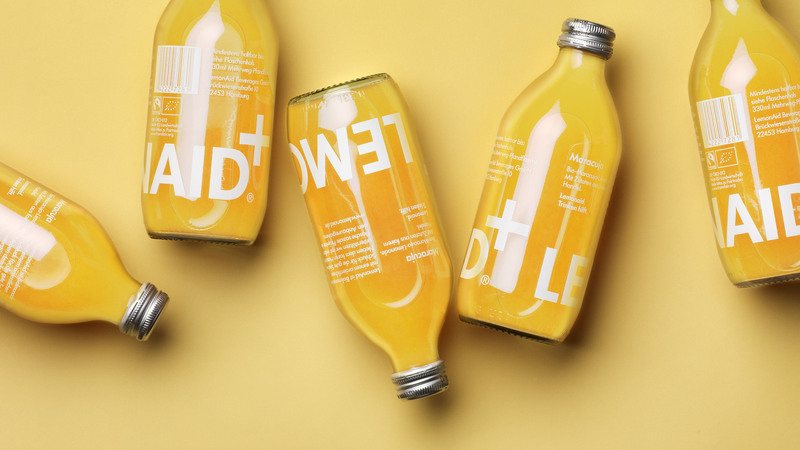 Seven years after the launch, Lemonaid and its sister brand Charitea (a range of bottled, freshly-brewed teas) can be enjoyed in more than 4000 outlets in 9 countries across Europe and Asia. Ten million bottles will be sold in 2015, and to date, more than 3.5 million Euros have been channelled back to local community aid projects in countries such as Sri Lanka, Paraguay, Mexico and South Africa.